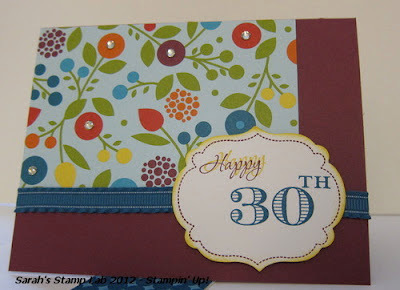 October 1st is the birthday of two of my stamping friends! 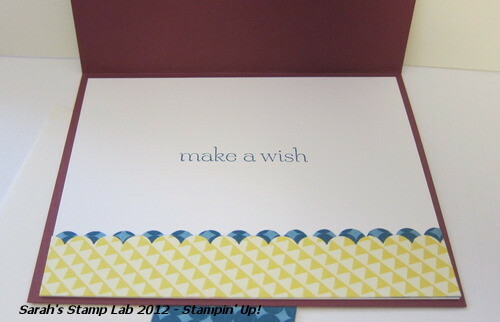 When it's your stamping friend's birthday, there's nothing better than a hand made card! This card was based on the Pals Paper Arts challenge for this week. 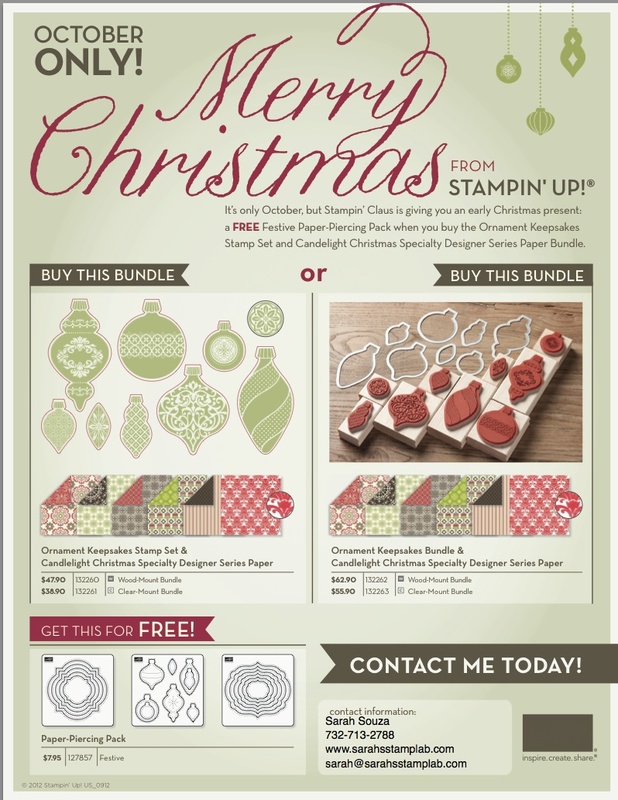 For the month of October, you can purchase a specially priced bundles of Christmas products! Click on the promotions tab above for more information. Very pretty birthday card, Sarah! 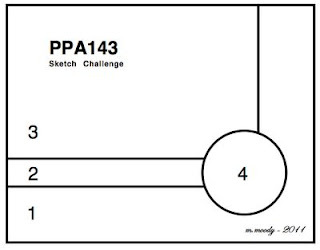 I love the sketch, and especially your take on it. Great design paper, and the addition of the little rhinestones is super! Very pretty card, Sarah. I love the colors you used. October is a perfect month for a birthday. Mine is on the 13th! !